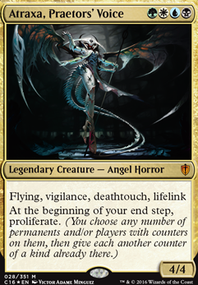 Experiment Kraj, Planeswalkers, and removing +1/+1 counters. a quick question about reknown. Tap, Remove a counter from a permanent you control: Choose one - Put a charge counter on target artifact; or put a +1/+1 counter on target creature. Jerk decks like this are such fun to build even if it's not fun to play against. A kind of fun all of its own. I had a charge counters deck that took too long to combo off, so I leaned into it and added stax whatnots like Smokestack , Silent Arbiter , and, the one that's any relevant here, Quicksilver Fountain and Power Conduit . 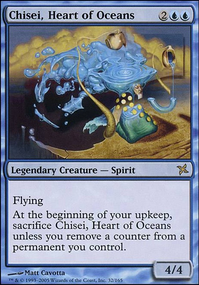 Conduit was a fit for the rest of that deck though, and I'm guessing you're not interested in Fountain because Boil and Choke hit the whole field. 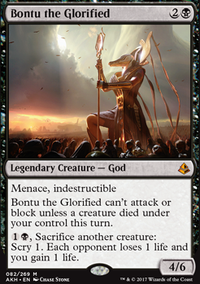 So, not much of a contribution, but anyways cool deck, I hadn't thought that there was enough going in Modern to pull such bananigans of this particular nature. Fun-looking Johnny deck. Getting a permanent sac outlet would be good. My preferred is Voracious Null . 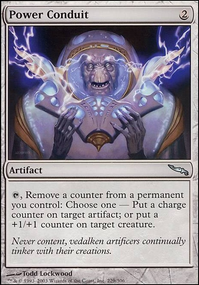 A good card for removing the undying counters is Power Conduit as you can remove a counter and put it on another creature. 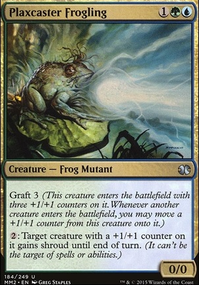 If you want a more aggressive shell I would definitely try Experiment One , Pelt Collector , Strangleroot Geist , and Avatar of the Resolute . They can land quite sizeable blows early. A way to reload your hand could be Armorcraft Judge . 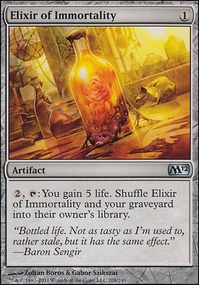 I would personally recommend staying away from cards like Biogenic Upgrade which are just so expensive for too little payoff, and cards that may manipulate your board but don't add anything to your board like Bioshift and Power Conduit . Good luck with you brew, let me know if I can further help you out! No problem! I have thought about trying to break undying mechanics by removing counters before but never actually done any serious research. Maybe Power Conduit could work? 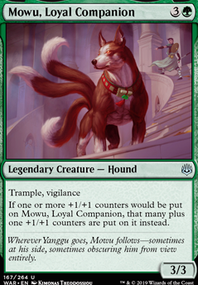 You could stick all of the +1/+1 counters on creatures you control without undying. Hey ThaneGarrusThanks for the visit :) and the UpVote! :) I appreciate it! Initially however when I first saw your recommendation I thought...hmmm mass counter moving...Is that a thing? If you were able to take damage then gain charge counters you can use Sun Droplet like a battery then use Power Conduit (the only card I could find that could work in this scenario) to move counters from Sun Droplet onto any of our other artifacts/creatures that would love some free counters for mana and card draw. It would be basically the same thing we do with Unspeakable Symbol + Crystalline Crawler / Fathom Mage but very much slower, but it can also put counters on Pentad Prism which is a plus. That would be epic! But I don't have space for these pieces (100 cards and it can never fit everything we want) and to really pull out the potential of this combination of cards...I think I'd probably have to run some untap shenanigans Unwinding Clock . It would be cool to be able to ramp from being attacked with damage, but it would take quite a while to setup. Together powerful, but as separate cards they don't stand very well on their own as they would rely on each other to make any real impact on the game. Damn I can ramble.... Thanks again for the UpVote! If you were to put in Sun Droplet what would you swap out for it?